No confidence vote in chairman Michael Williams PASSED but he remains in place. 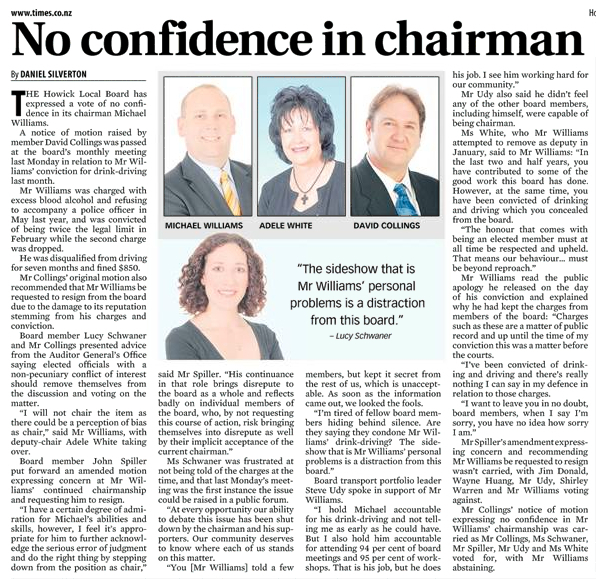 (a) That the Howick Local Board expresses no confidence in the chairmanship of Michael Williams as a result of his criminal conviction on 22nd February 2013. (b) That Michael Williams be requested to resign from the Howick Local Board due to the damage that is being done to the reputation of the Board and the Howick Community as a result of him being charged with excess blood alcohol while in charge of a motor vehicle and failing to accompany a police officer and now being convicted of excess blood alcohol of twice the legal limit. A proposed amendment seeking Mr Williams’ removal as chairman, while retaining his seat on the Board failed. 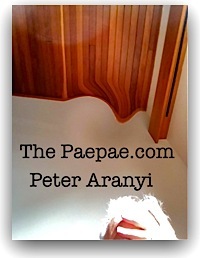 What good does a vote of ‘no confidence’ do with the office holder still in place? If it was a joke, it would be in bad taste. This dysfunctional committee really sets a new low. Roll on October. PS See these stories for context.